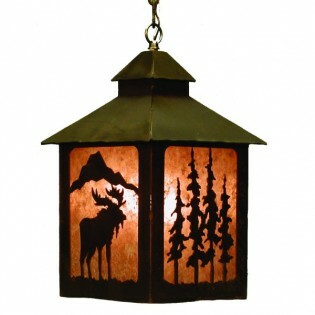 This rustic Moose Lantern Pendant Light is a great addition to the foyer, kitchen or any where you want a rustic focal point. Made of steel, in your choice of rust patina or black powder coat finish. Made in the USA. 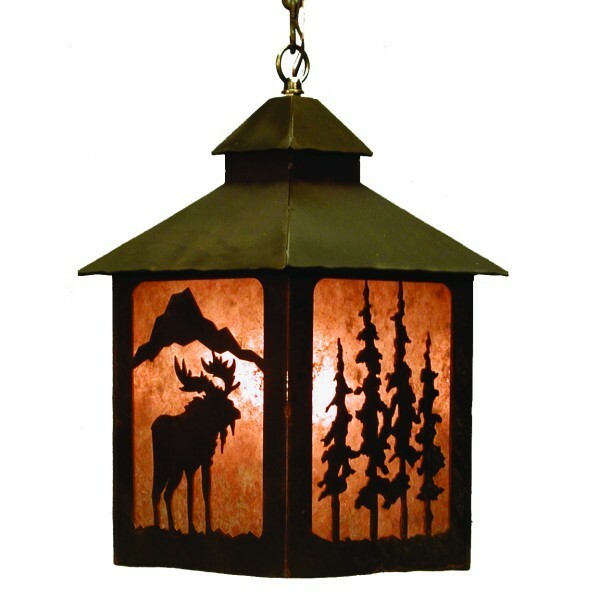 This rustic Moose Lantern Pendant Light is a great addition to the foyer, kitchen or any where you want a rustic focal point. Made of steel, in your choice of rust patina or black powder coat finish.